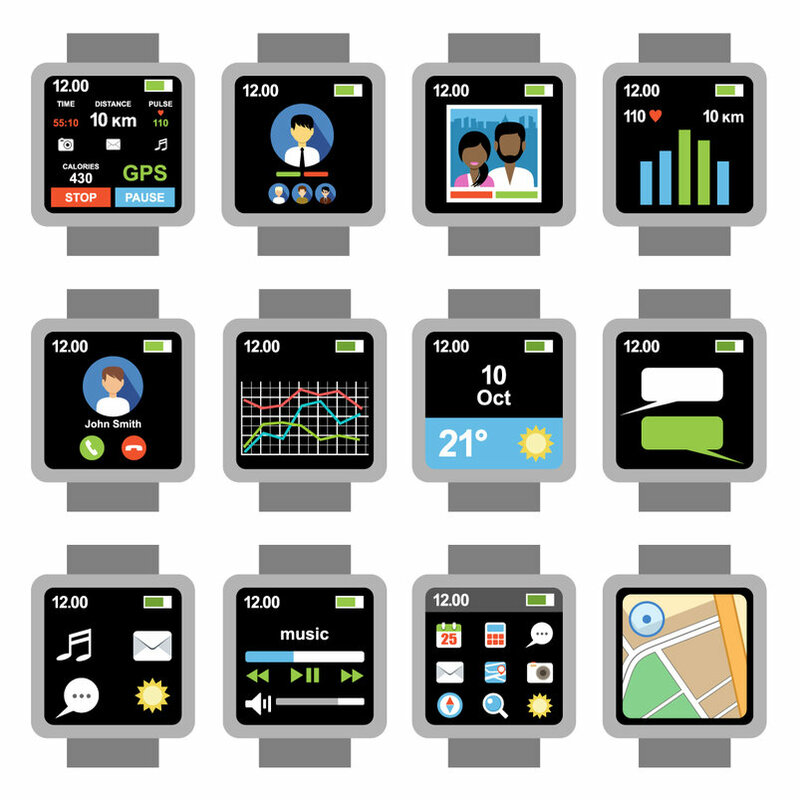 Wearable Devices and Wearable technology is one of the most popular computer and advanced electronic technologies for making life easier. 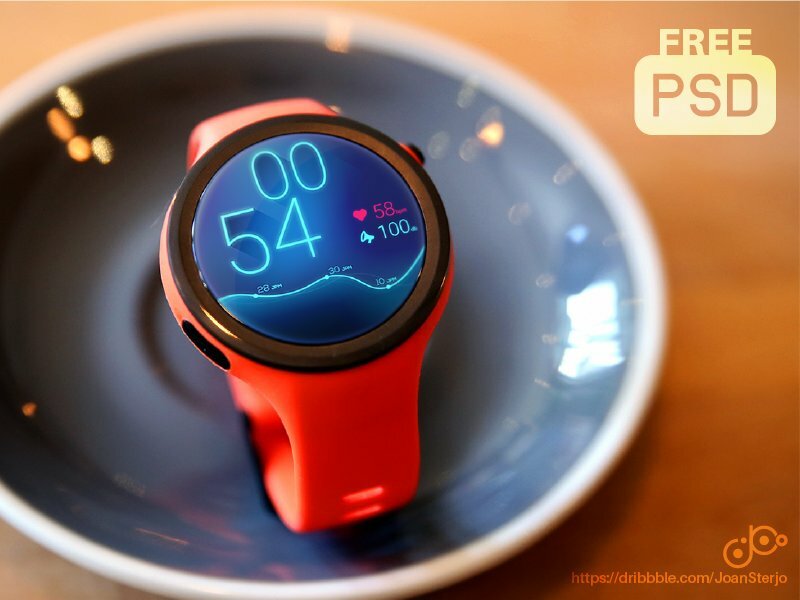 In the last few years, many world renowned technology companies are developing (or have developed) a variety of wearable devices such as Google Glass (Google), Smartwatch (Sony), iWatch (Apple), Moto 360 smart watch (Motorola), Samsung gear smartwatch and much more. 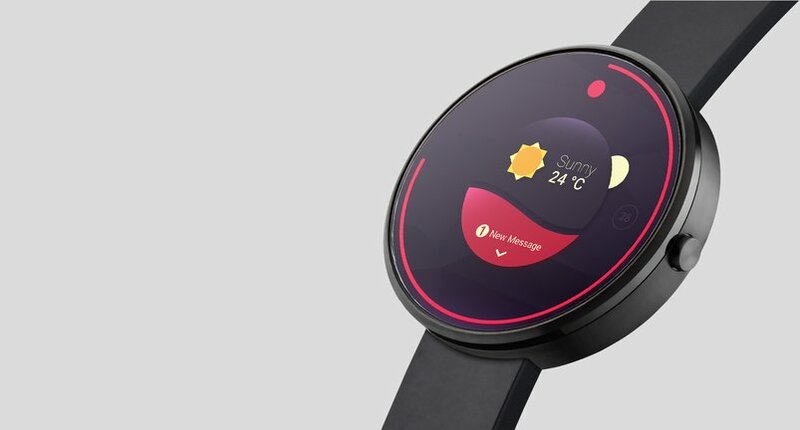 And many people believe that the wearable devices would change the way we live and become a part of our lives in the near future. 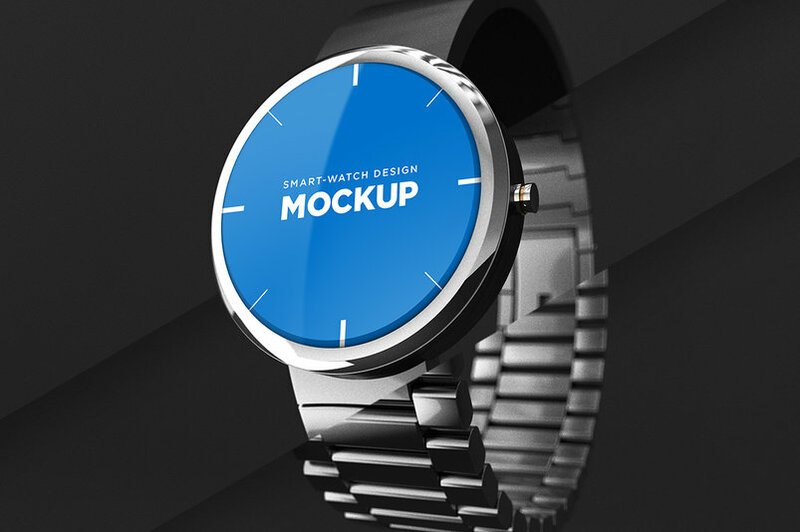 In this post, I would like to list here a collection of free and premium smart wearable device mockups & templates found around the web to help web developers present their projects with the most trendy electronic technology. 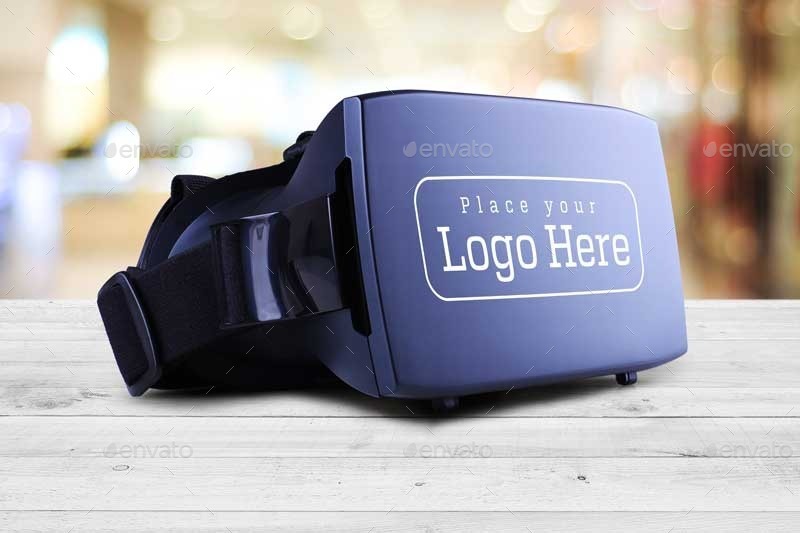 Most of these mockups & templates are provided in PSD format so you can easily add your creativity by editing the PSD file in the Photoshop. 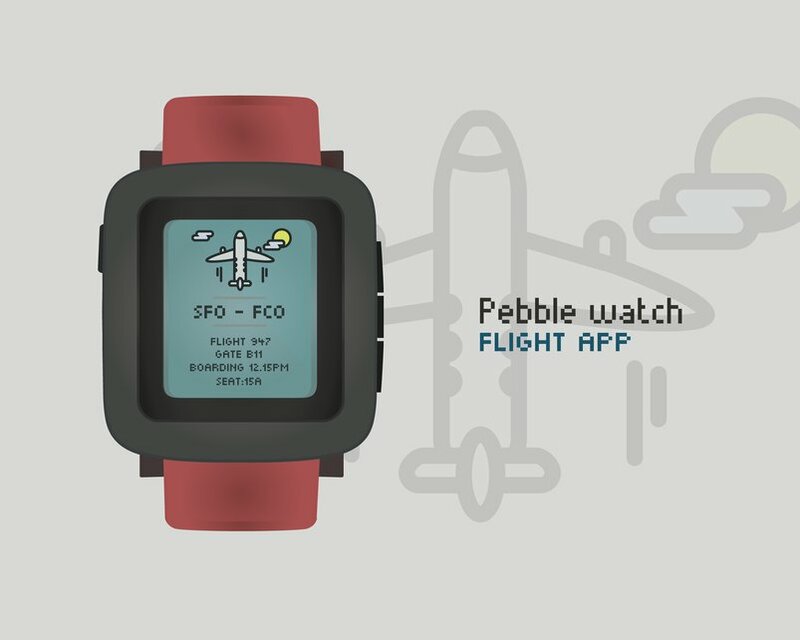 Pebble Time Free Vector, plus a Flight App interface mockup. 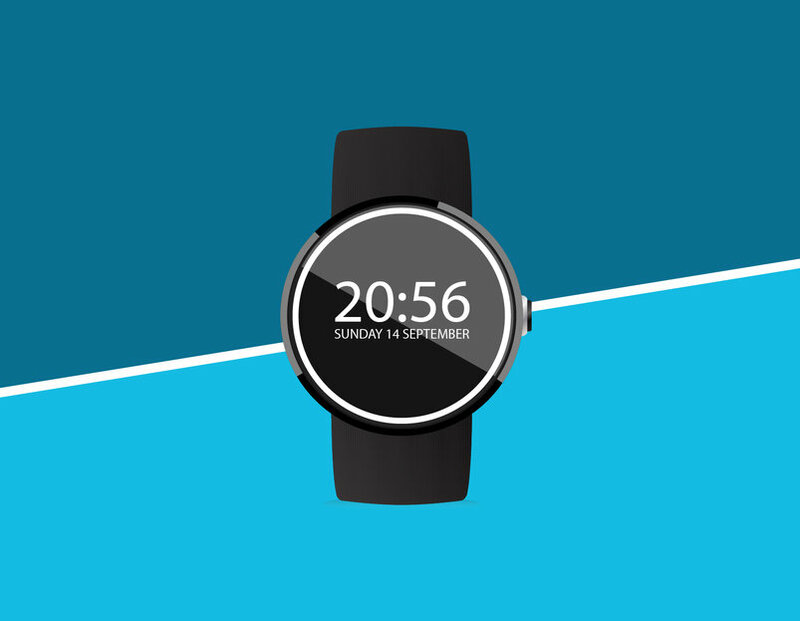 Here’s a simple-to-use Smartwatch mockup with a round face. 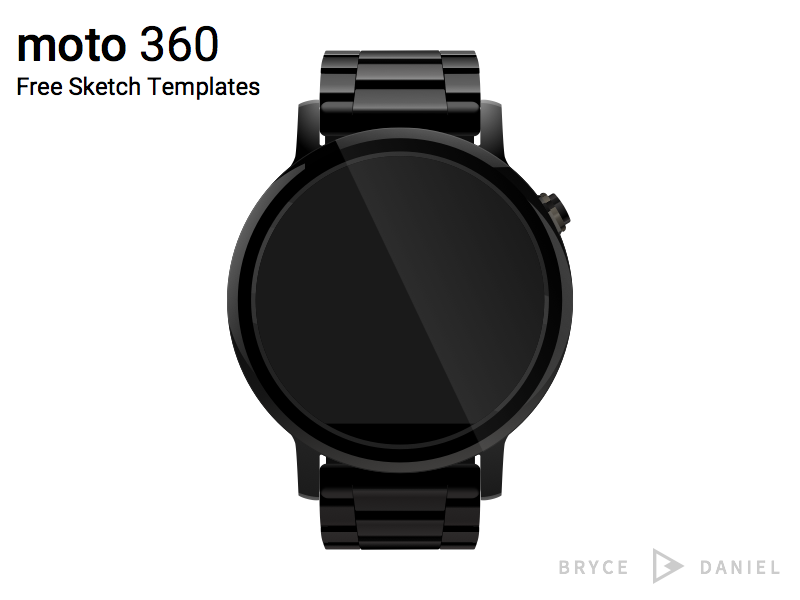 Perfect for presenting UI designs to clients and consumers alike. 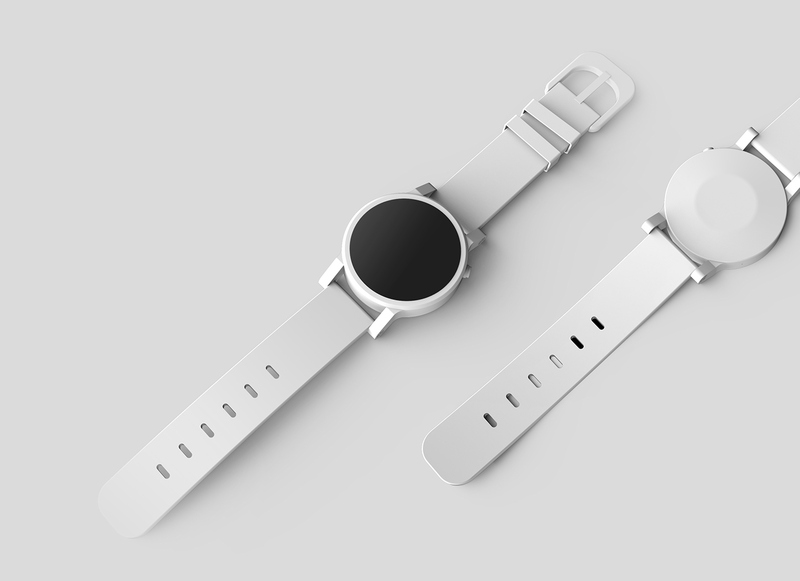 Uses an original nondescript watch design for professional ambiguity. 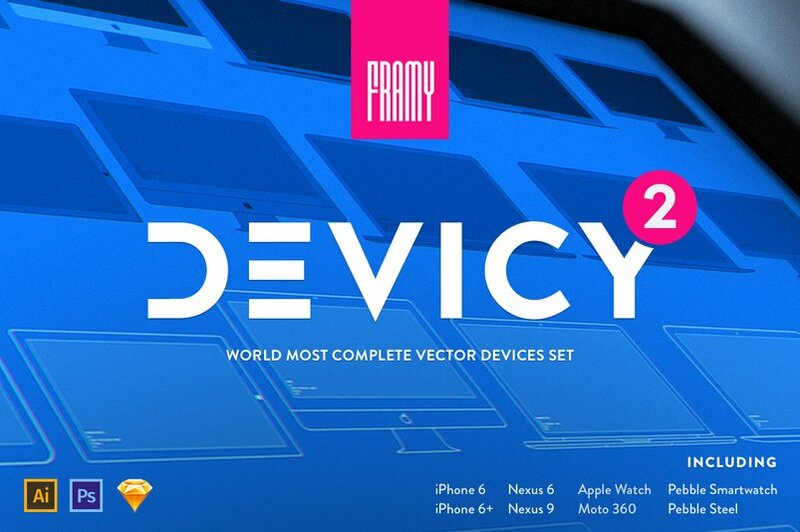 The largest vector devices set on the market. More than 33 original devices in 330 style variations. Made from scratch. 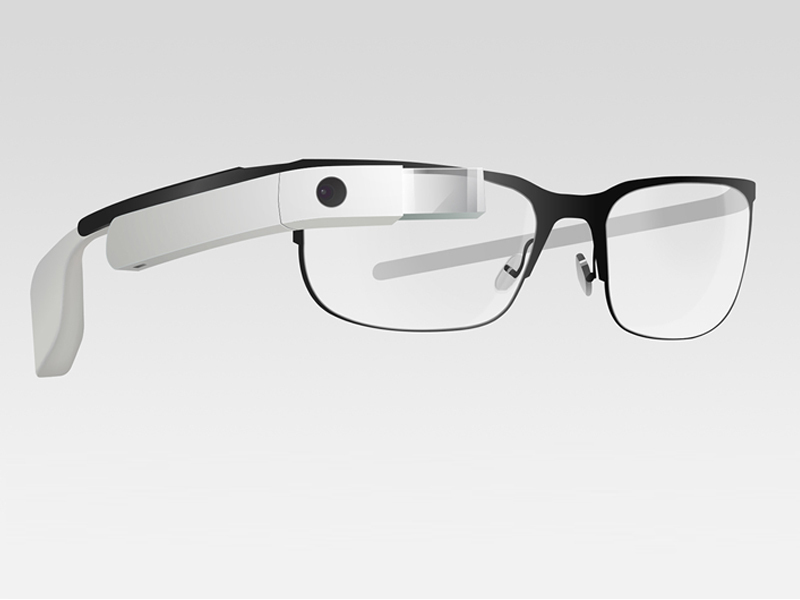 Four styles for each device. 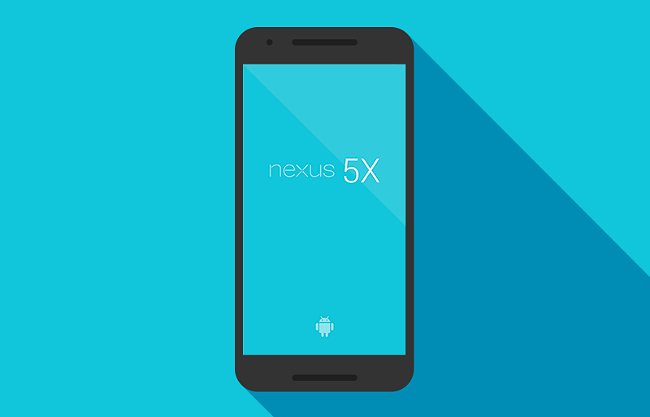 Four colors for each device. 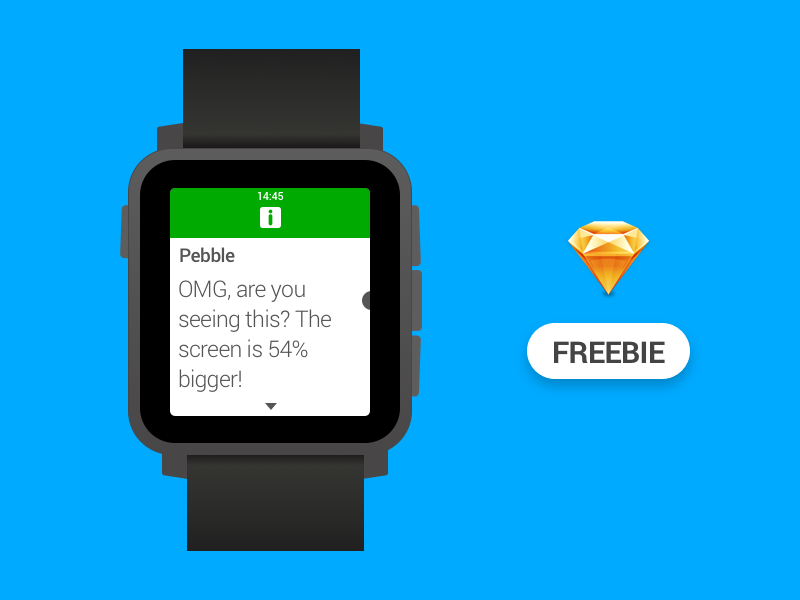 Made with pixel-perfect precision for designers by designers. 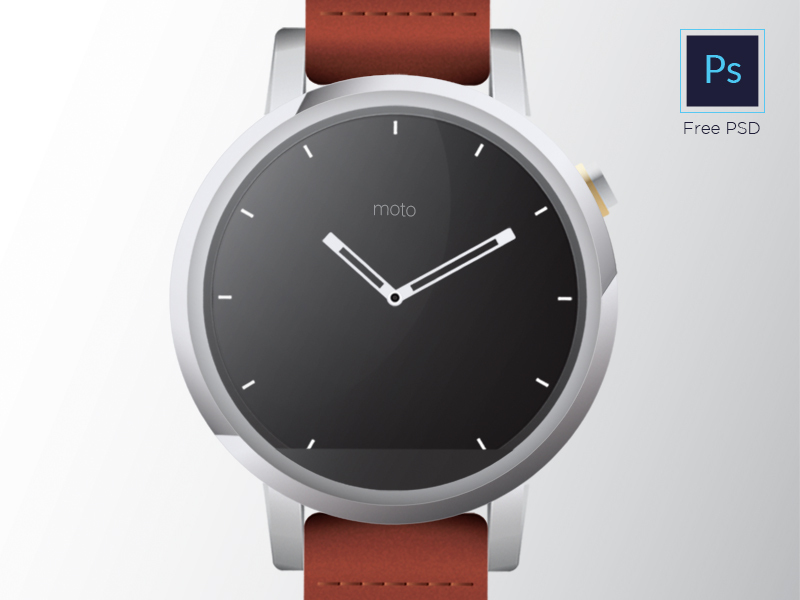 A high resolution photoshop document of a Moto 360 modelled and rendered in 3D for app design mockups and presentation. Three variation of belts are included. Also included are versions where the image has depth of field. The mockups are on a clean and clutter free scene to bring more focus to the design and the image is rendered at 4000 x 4000px at 200 dpi. 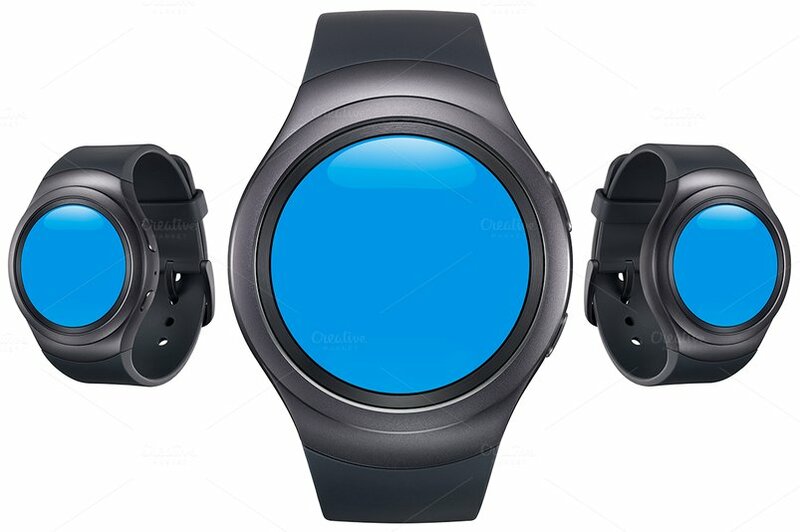 Square shape of smart-watch. Two variants of color – black and white. 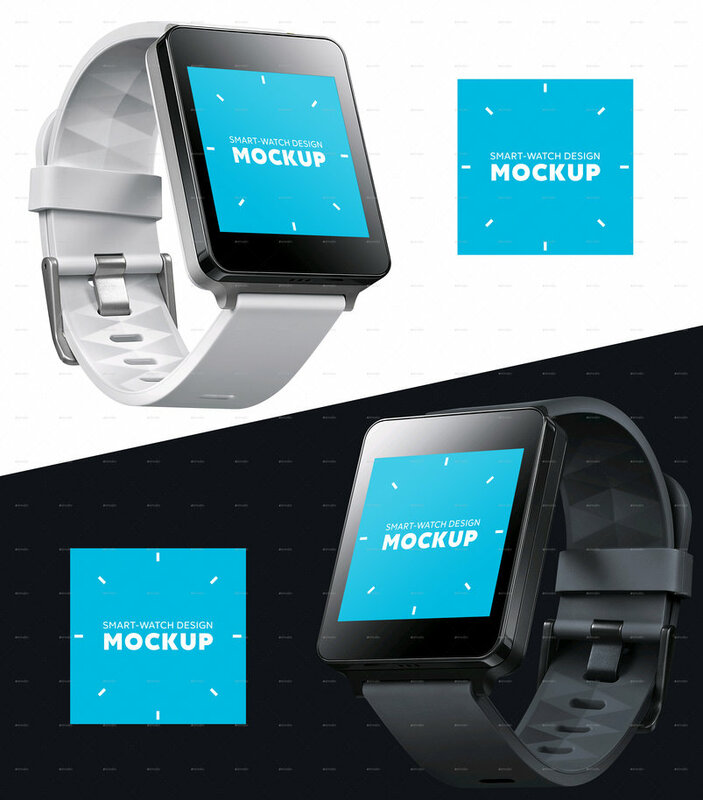 Photoshop document of a smart watch, the LG G watch. Easy to change colors of backgrounds. 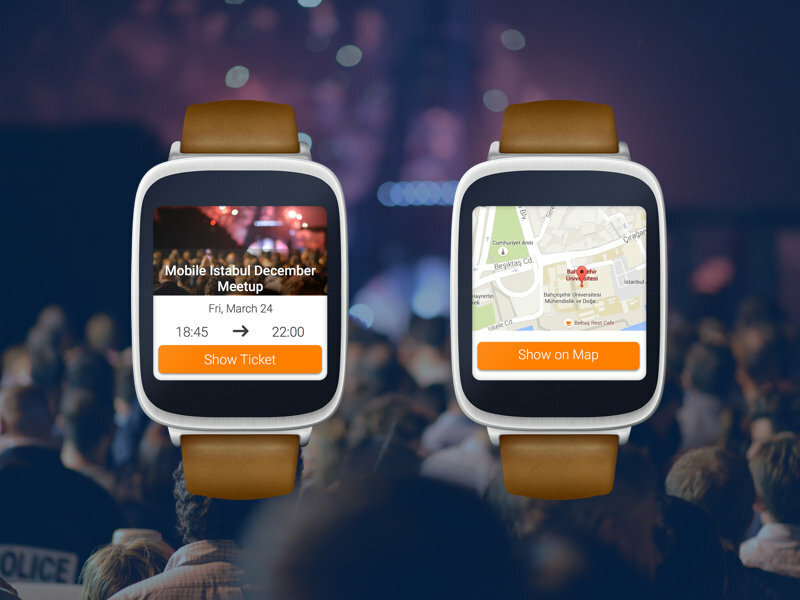 Show your apps in real situations. This package is great for app developers, webdesigners and graphic designers as well as for print. 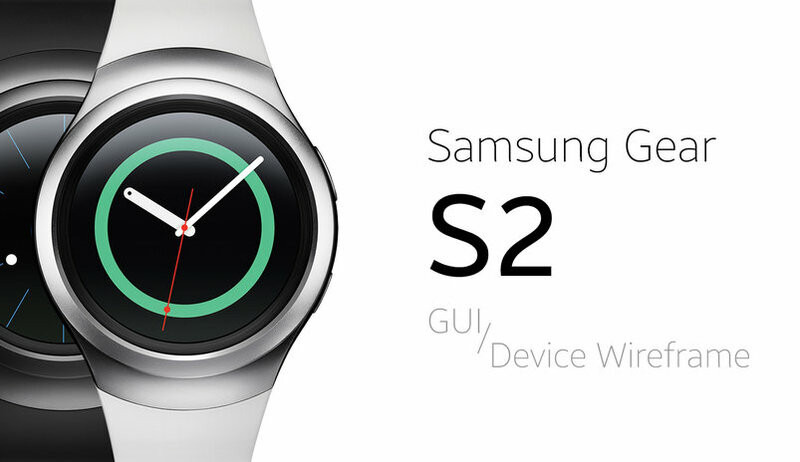 Gear S2 comes full circle with a durable stainless steel body that sits slim and sleek on your wrist. 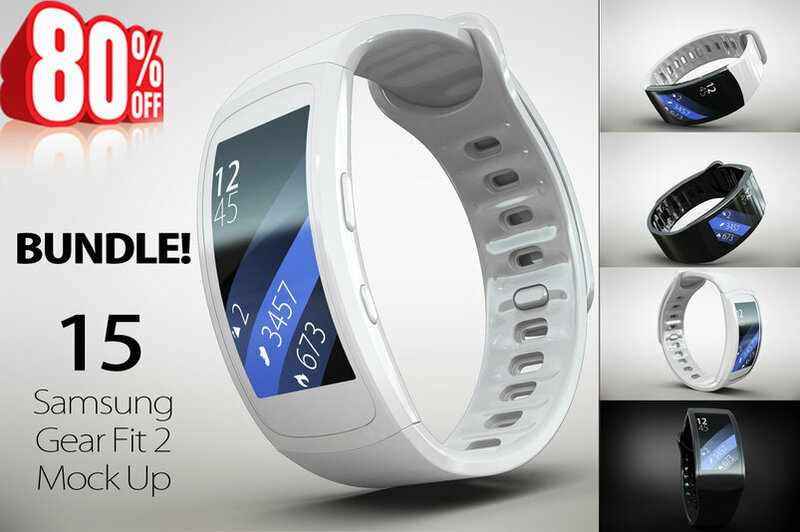 Customizing the watch face and changing watch bands is so easy, it’s a device for all occasions. 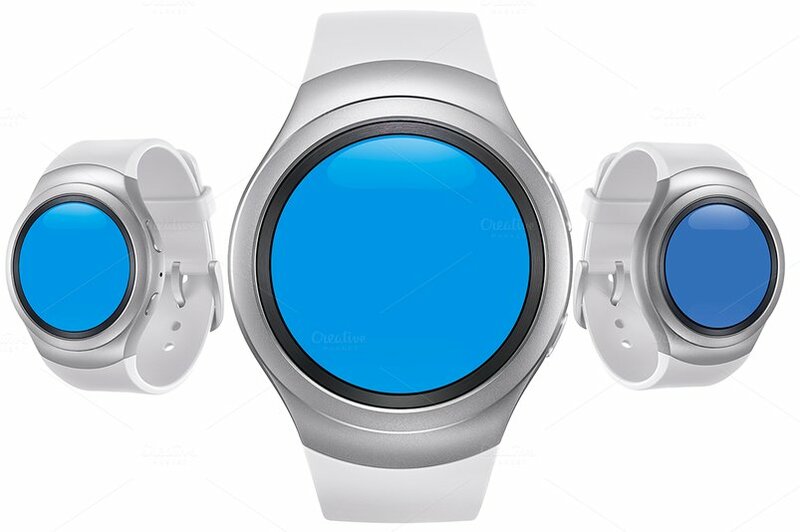 Samsung Gear S2 White Mockup Pack transparent. 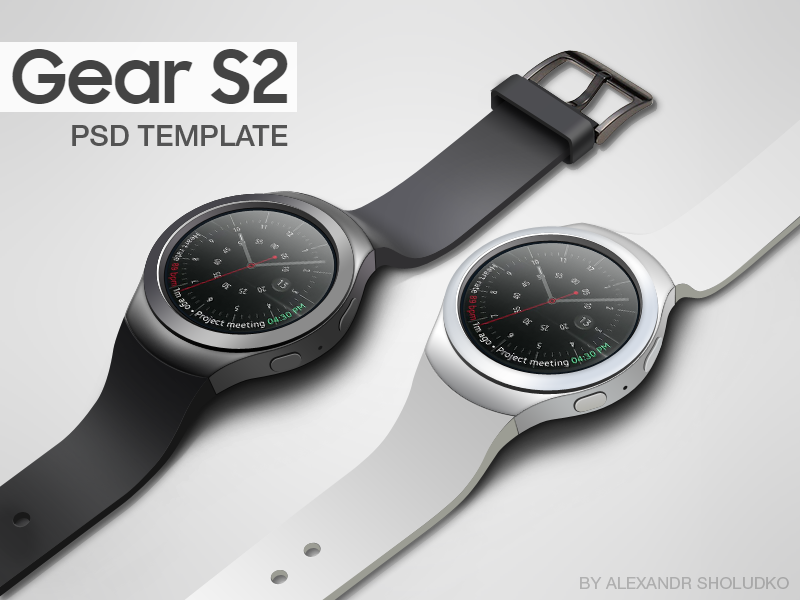 Samsung Gear S2 Black Mockup Pack transparent. 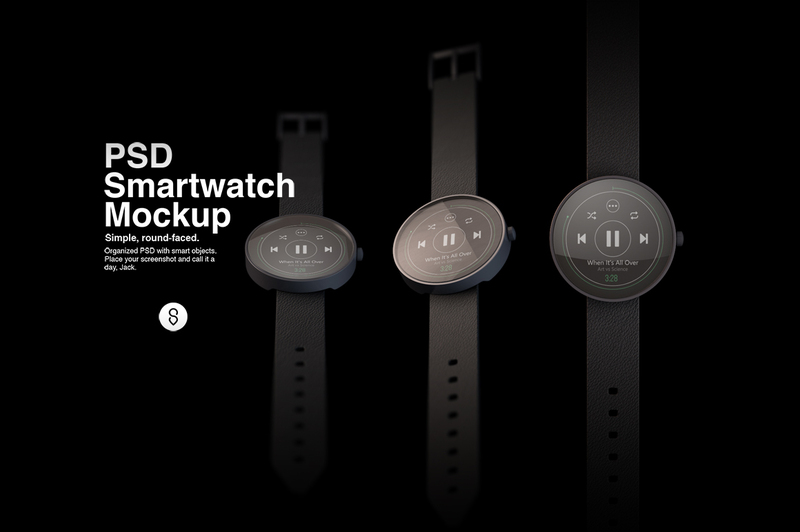 Square smartwatch. Applications on the screen. The vector illustration can be used both entirely, and in parts. 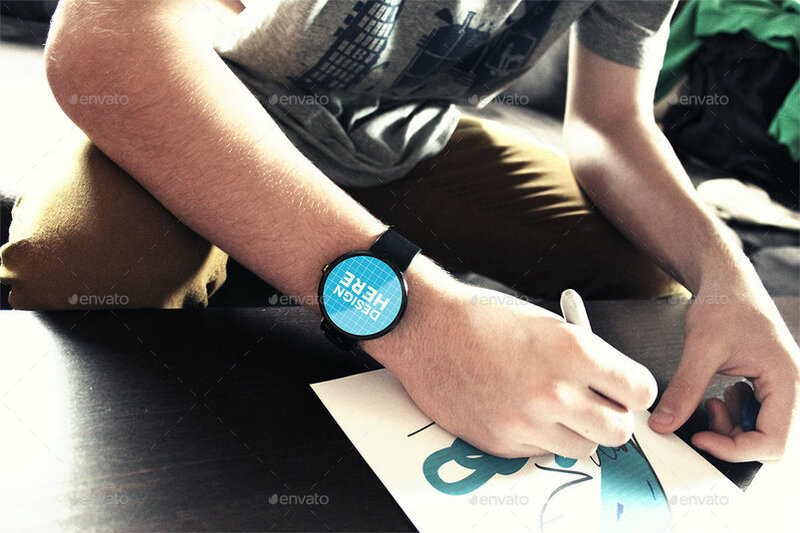 10 smart watches available in both vector and raster format. 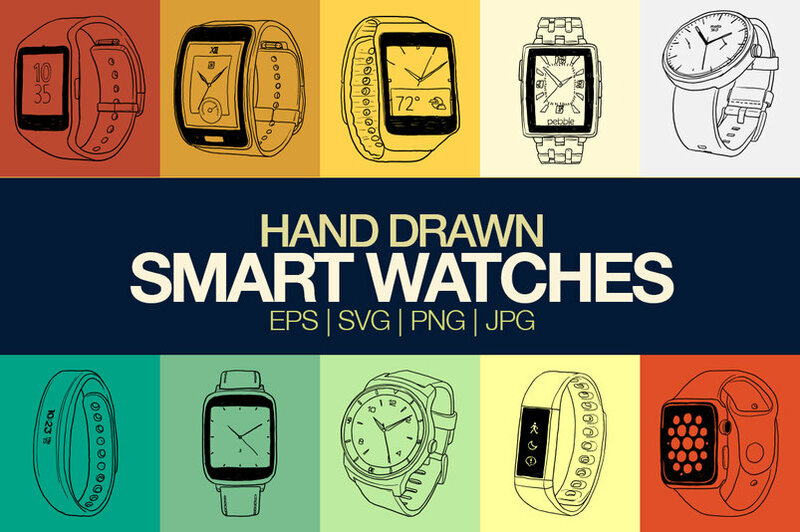 All watches drawn on Illustrator via Cintiq. 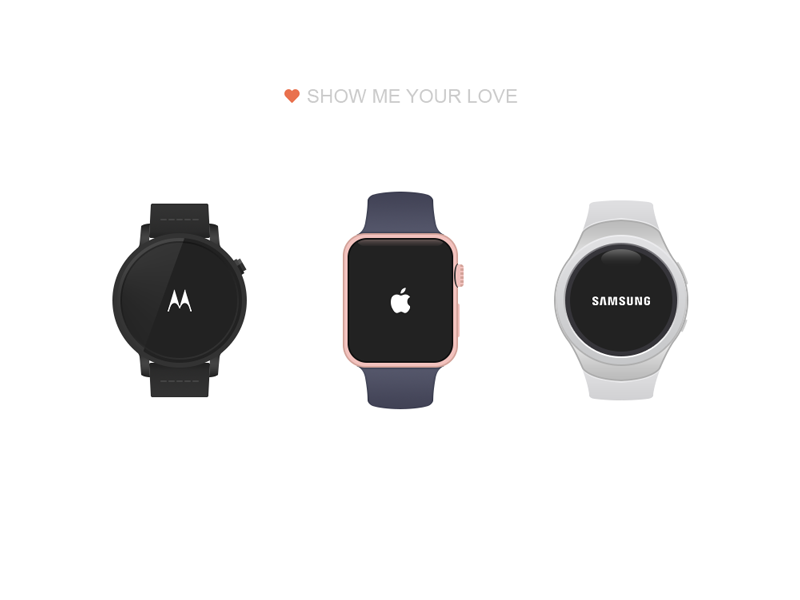 You can check names of watches from “All Files” section.